The calendar and summer sun may tell us that we’re only half-way through the year, but we wanted to give you a holiday gift that you can enjoy right now. 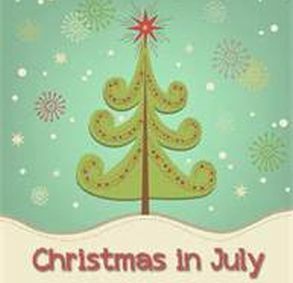 For a limited time you can unwrap tremendous savings with our “Christmas in July” Offer. On July 15 and 16, when you buy one ticket to The 2013 Christmas Show: The First Noel for any performance listed below, we’ll give you a second ticket of equal or lesser value FREE (up to four.) That’s a savings of up to $39 per ticket! * Friday, November 8 – 3:00 & 7:30 p.m.
* Saturday, November 9 – 3:00 & 7:30 p.m.
* Sunday, November 10 – 3:00 p.m.
* Friday, November 15 – 3:00 & 7:30 p.m.
* Saturday, November 16 – 7:30 p.m.
* Sunday, November 17 – 3:00 p.m. Valid for up to four regularly priced adult tickets on above show dates/times only; New orders only; Based on availability. Offer available July 15 and 16, 2013 only. Cannot be combined with other offers; Service fees apply; Must mention code JCM at time of purchase.